There are fewer signs of desperation more clear than the analysis of squad numbers. But as we twiddle our thumbs waiting for the alarm to go on Saturday morning, this is what it’s come to. But at least we can cover our quest for meaning in what is probably a twenty second decision scribbled on the back of a serviette from the canteen by claiming it to be a quick summary of what Watford have at their disposal after what has been a fairly disjointed pre-season. Despite some rumblings of discontent regarding his signing, Almunia has performed solidly so far, although sterner tests will come. His constant vocal presence is extremely reassuring, inspiring far more confidence than his predecessor. In a straight-up fight with Lloyd for the starting right back spot, as he has been for a couple of seasons now. Would probably fit into the new style better, but needs to up his consistency. Cruelly omitted from the team in the latter part of last season by Dyche, he needs an undisputed coming-of-age season. A number in the first eleven belies Dickinson’s place in the squad. Now firmly back-up to Pudil, with two versatile right-backs in the squad who are better at playing on the left than him anyway, and with a left foot with less culture than a bottle of Carex, it could be ‘come in number three’ time for Dicko. Some fools (i.e. me) were suggesting at the beginning of last season that Eustace’s legs may have gone, that his superb leadership and incredible reading of the game was not enough to warrant the inclusion of his tired legs in the side. Said fools were wrong, of course, and he soon got into the swing of things. In Hogg we’ve found his natural successor, but hopefully we can reward Eusty’s commitment over the years by having him lead us to the Premier League in his last season. Rumours abound this morning that Taylor is close to signing for Cardiff. If true, it would be a great loss to the squad, as, even after a few injuries and with the cruel mistress of age ever increasing, Tiny still commands the back line effortlessly. A great defender at this level. If he stays, he should be first choice alongside Nosworthy. If ‘One Size’ can get himself fit, with ‘niggles’ preventing his progress at the moment, then he will probably challenge Nosworthy and Taylor for their starting berths. Far from being assured a place in the team, he will have to work hard to get in ahead of two of the most assured and trustworthy centre backs to have donned the yellow for quite some time. After a season of being completely ineffective on the wing and failing to beat the first man with a single delivery, there is a chance for Yeates in the new system if new signings fail to make an impact. He wasn’t that bad against Spurs, putting himself about more when given a freer role behind Joe Garner, but he didn’t create anything, which has always been his problem – a fairly sizable one for somebody who doesn’t contribute in any other way. Just, don’t let him take a set piece. Please. If Jonathan Hogg can recreate the form he showed for the first two-thirds of last season, he will be playing in the Premier League sooner or later, with or without Watford. A slight dip towards the end, when playing alongside Eustace, is nothing to worry about. It took some time for them to strike a balance, as they are on the whole pretty similar players – kind of a poor man’s Gerrard/Lampard predicament – but with an extra man in the centre of midfield, Hogg should be able to return to his natural game. At his best he is imperious – both destructive and creative. He can change the momentum of a game in one swift movement, stealing the ball and playing it on with minimal fuss. Troy’s squad number allocation has been read into by many as a sign that he’ll be given a second chance when he’s out of the bing in October. If rumours that a few of this squad will be out of the club before long are true, then giving every senior pro a number would surely be a stop-gap and prove nothing. Troy’s future is a divisive subject – personally, I would welcome him back at the club should he ever return, but that’s a discussion for when the decision is made. Another surprising inclusion in the first eleven. Zola has said today that Big Chris won’t be leaving, and that he has impressed with his work ethic in training, though he didn’t seem particularly convinced himself. He won’t be first choice, that much is certain, but will provide something different off the bench, if he stays, and so should benefit from the return to seven match day subs. The rumours from last week that Forsyth was off to the SPL on loan seem to have died down somewhat. I don’t think a return to Scotland is what he needs. There’s a player there somewhere, just not a left winger. He’s tall, has a left foot like a traction engine and does not lack in technique. With some composure and added athleticism, he could be a useful player. I think he really needs to find himself, and decide what he really wants to be, and the uncompetitive SPL is not where that can happen. Unlikely to play too much this season, despite his number, a loan to an English club would be better, or a trip to Machu Picchu for some self-reflection. As sure as night follows day, Lloyd is number twelve. He’ll be in a fight with Hodson for the right back spot, providing no aging Italian full-backs join the club in the near future, and will be on hand if our new left back gets cramp at any point in the season. There’s not much that can be said about Lloyd that hasn’t been said already. Death, taxes, Lloyd Doyley. The choice to give the number 13 shirt to an outfield play will have caused scandal with many an Englishman. ‘Either a keeper should have it or nobody should’, I hear you cry. Perhaps this is a sign that Beleck is only going to be a bit part player this season – the reason that the number is traditionally saved for a substitute keeper. Conversely, maybe it’s a sign that Beleck is the guy to shoot us into the top flight; any hack knows that thirteen is actually considered lucky in Italy, right? 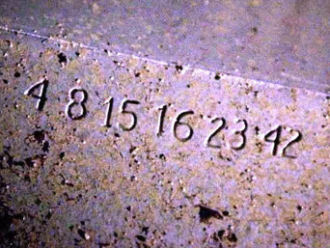 Or maybe it was just the lowest free number and his was the name written next to it. Did you consider that, you hippy? I want so much for Jenkins to prove himself more than just a neat and tidy midfielder, really I do. A three man centre midfield is a chance to muscle his way in, but he really needs to evolve his game if he’s going to make the most of it. It’s not that he’s bad going forward, it’s not that he pisses away possession too easily, it’s that he doesn’t even try to. With a new manager comes a chance to impress, but this could be Jenkins’ last chance to convince the fans that he’s the Championship regular he could be.